Kitchens Individually Designed for You Opal kitchens aim to provide you with the bespoke kitchen of your dreams, from initial enquiry through to completion. We carry out installation of high quality new kitchens, as well as kitchen revamps. Choose Your Style - We Do the Rest Opal Kitchens have an extensive range of colours, materials and styles available, ensuring the perfect kitchen down to the smallest detail. Whether you want traditional, modern or even hand painted, we have something for everyone. With all of our cabinets being colour coded to match the doors and ridged built, you can be sure of a quality kitchen that will last for many years. With all our cabinets being made to measure, you can achieve a truly bespoke kitchen, unique to you. All our units come with soft close drawer & door systems fitted as standard, ensuring smoother operation. 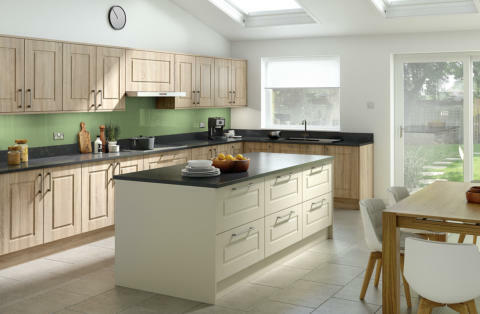 Luxury Kitchens from Skilled Tradesmen All our installations are carried out by qualified and highly experienced tradesmen, having many years’ experience in their respective trades so you can be assured of a quality finish from the very start.